Over a decade ago, New American Funding began with a clear vision and a plan for gradual, but steady expansion. With over a century of combined lending experience amongst our management team, a vast array of loan products and an emphatic commitment to superior customer service, the company has grown over 660% since 2008. Today New American Funding is a Fannie Mae, Freddie Mac and Ginnie Mae Direct Seller/Servicer, FHA Direct Endorsement – HUD Approved mortgage lender. We have over 1,400 employees, are licensed in multiple states, and fund over $550 million in home loans every month. Our mission is to provide homeowners and future homeowners a variety of home financing options at competitive rates; fulfilling their needs in a manner that enhances their standard of living in realizing the American Dream. To start your loan process, contact us today at 702.462.8354! Brandon S. Says: Josh was available for anything at any tome of the day made my whole experience very pleasant thank you again my friend hope to work with you again in the future. Ammon H. Says: I have worked with Josh on many transactions and find him to be honest, hard working, attentive and patient! He works hard to maintain a high level of professionalism with everyone he comes into contact with. I would definitely recommend Josh! Robert D. Says: Don is very communicative and knows how the process works, letting us know exactly where we stood throughout the entire process. It is always good when an agent (in essence) trains the client along the way by explaining just what is coming next. Great working with him.! Frank R. Says: I've had several transactions with Don, representing buyers. Every deal has closed in the best way possible, and I have gotten positive feedback from all the listing agents involved. I've had great communication, and a fast resolution of any issues that have come up. Dyan M. Says: Dealing with Thomas was always a pleasure. Very quick to respond to questions and very professional. Chris Garza and staff are extremely hard workers and very creative to find the appropriate loan program that best fits each clients needs. Jackie is a professional loan originator and was a joy having her handle my home loan. 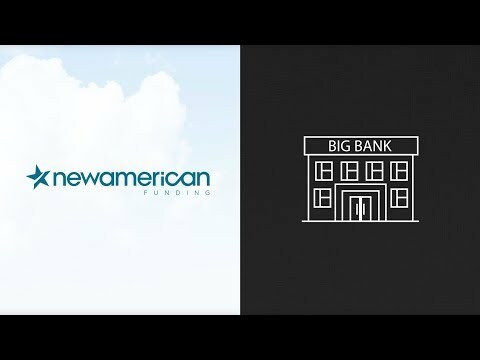 I highly recommend Jackie Cooper and New American Funding for your home loan needs. Jackie made the process easy and flawless while remaining in constant contact and willing to answer any and all questions in an extremely timely fashion. Jackie was also very thorough and professional throughout my home loan process. Highly recommended. Most of all was her personality and knowledge and willing to help us through the loan process, keeping us posted at all times. making it a very smooth transaction. We believe she is a sure asset to the firm. Jackie was there for me anytime, answering questions and getting the job done no matter when it was. I couldn't have had a better person handling my situation. I can't thank Jackie enough! Jim was amazing!! He patiently answered my questions and guided me through every step of this exciting, yet, arduous process. Thank you! Jim was very patient with me when answering all of my questions and addressing my concerns. He was very knowledgeable and professional. It was a great experience overall. Since the first time I met Karen she made me feel at ease with that welcome smile and personality, not once she failed to returned my phone calls or she will call me for updates on my application. Karen was there for me since the beginning to the end "closing day". And not to mention her amassing team, Mary and Michelle great job. Thanks to you now I have my dream Home to live happily ever after. As first time homebuyers we were nervous going into the process but working with Karen and her team was an absolute pleasure. They were very quick in responding to emails and phone calls anytime we had any questions. It made the process very stressfree and not once did I feel like she was rushing us to get any documents to her. We would definitely recommend her to any of our friends and family! Karen is a true professional. She took the time to explain all our options, there was never any pressure to sign/ make a decision. Karen and her team were always available, day and night. They even worked with us when my work schedule changed for closing. Most importantly I never felt like a number. Karen not only took the time to remember our names but our daughters as well, making her feel included in the process as well. A huge Thank you from our family to you and your team Karen! Very upscale professional knowledge presented to customer , coordinate so well and keeps you posted on all transactions, very friendly and stress free. To share my honest openion based on my experienced on having loan for buying a house?, I would highly recommend to call Mr. Larry Garlutzo , Senior Loan Officer, to call him. Excellent experience and that I am so proud to share to anyone out there planning to buy a house. Excellent!!! Talk about urgency and getting things done. Larry and team were super helpful with literally immediate responses from everyone - Jim was the best ! Thank you guys for everything ! One very happy camper ! 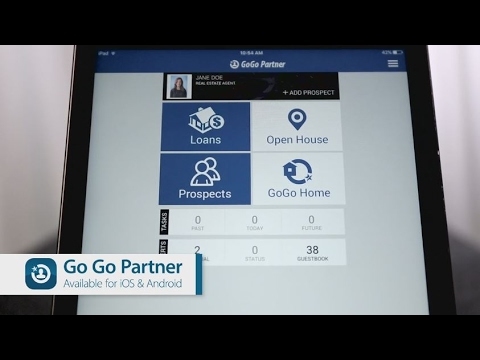 Was with another lender at first, the switch was the best thing we did during the mortgage lending process. Thank you ! I never had to "wonder" what was happening next. Molly Jones and her Team were always proactive in letting me know what to "expect" next and I loved the emails I got telling me where my loan was in the process. 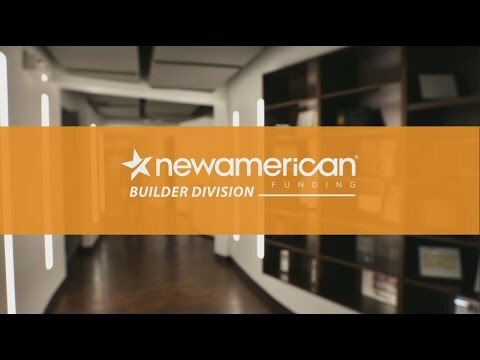 I would highly recommend New American Funding purely based on Molly Jones and her Team, their professionalism, efficiency and customer service. They were always one step ahead troubleshooting anything that could delay the process. I have never had a home loan go so smoothly. Kudos! I was a first time home buyer and Molly was there to answer any and all questions I had. She was quick to respond if she was unsure. Also even when the process was over if I still had any questions she was there to answer and help. Thanks so much Molly!!! Molly was very helpful and her team worked hard in getting us to our goal. They were informative and was always willing to answer any questions I had. The whole process went very smooth and our first buying experience went very well. Will highly recommend to friends and family!! Out of 3 lenders. Patricia was the most helpfull of all and made my family feel very comfortable and welcome. I couldn't thank her enough. Great person and very dependable. Thank you again! Steve seemed to always be in a good mood. There just aren't enough people in the world who are genuinely happy and pleasant. He clearly knows what he's talking about. His confidence gave me confidence in him. He was also a good communicator and responded promptly to phone calls or emails. He never seemed to be in a rush to get off the phone or be done with an appointment. He made me feel like a priority and the entire process went very smoothly! Steve and his entire team were meticulous. The complete process was explained clearly and concisely and Steve returned each call in a timely manner and addressed what few concerns we had promptly. It was an easy and seamless process and we are very pleased with the outcome. Working with Steve was a blessing and we recommend him to everyone!! Steve was a pleasure to work with and made obtaining financing for a home purchase as easy and painless as it could be. He always responded promptly to my questions with forthright and helpful answers. Most importantly he delivered as promised. I can highly recommend him.